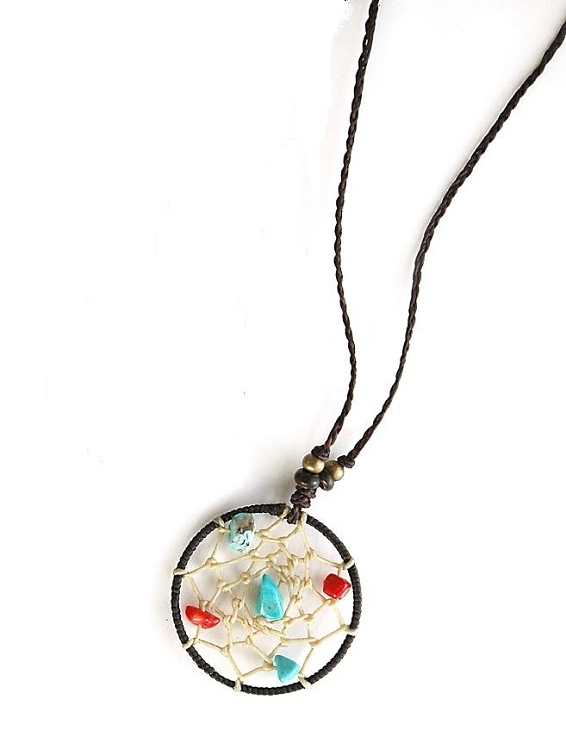 This dreamcatcher necklace will enhance anything that you wear. Dream catchers originated in the Ojibwa Nation and adopted by many other Native America nations. The Ojibwa believe that a dream catcher changes a person's dreams. Dreamcatcher is approximately 2" round and the necklace is about 12" long.